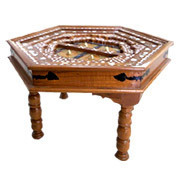 This teak wood octagonal center table is of size: 30 (width) x 30” (depth) x 18” (height) and is made out of a single panel of an old rajasthani haveli door. 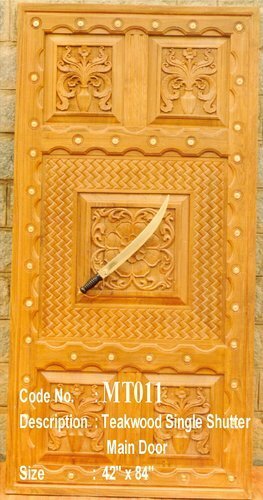 It has three main components wood, brass & iron. 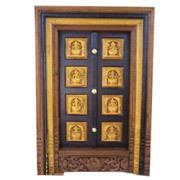 The wood is carved and inlaid with brass and decorative pointed studs of brass are fitted on iron grills, which are sandwiched between the wood. 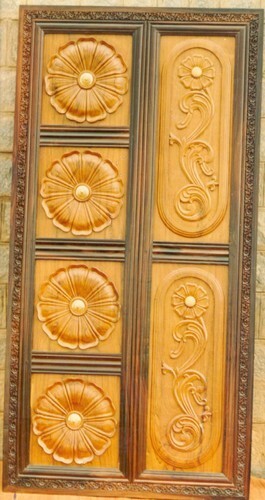 The panel of the haveli door used to make this table is 3” thick to resist attacks from elephants and enemy warriors. The table is covered with glass on the top, which acts as protection to the carving below from dust, thereby enhancing the aesthetic looks of the table. The legs of the table are knocked down for easy packing. 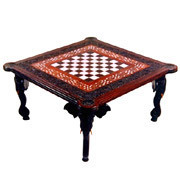 This rosewood table is of size 36” (Width) x 36”(Depth) x 18” (Height) and has beautiful as well as intricate synthetic inlay work and floral engraving all-round and a inlaid chess board in the center. 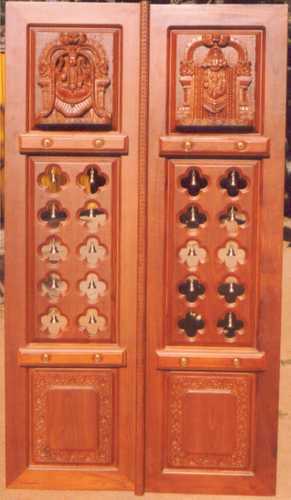 The edges of the table are rounded of and the table is supported with four elephant heads with a trunk, which acts as legs. 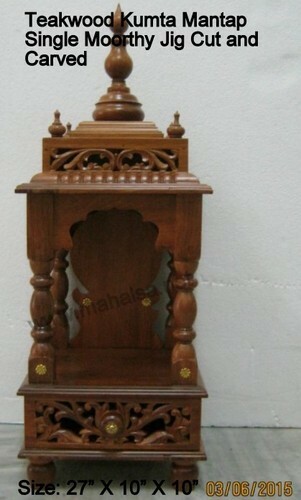 The top of the table is covered with glass to protect from dust thereby enhancing the aesthetic looks of the table. 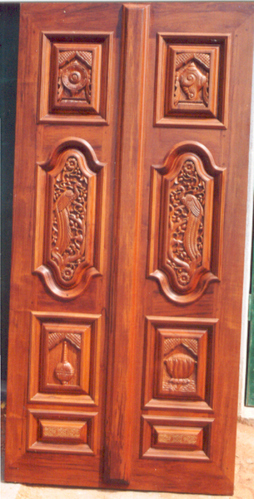 Looking for Wooden Door ?